The famous author of The Name Of The Rose, Umberto Eco said it all: "When I want to relax I read essays by Engels. 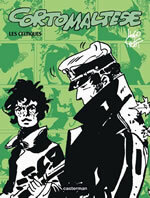 When I want something more serious, I read Corto Maltese." Our first sighting of him is through the telescope of the pirate Rasputin. He spies Corto, tied spreadeagled and half-naked to a raft, left to the mercy of the Pacific ocean. Corto is rescued by the Russian rogue, whose crew have also picked up two teenage cousins lost at sea, Cain and Pandora Groovesnore. 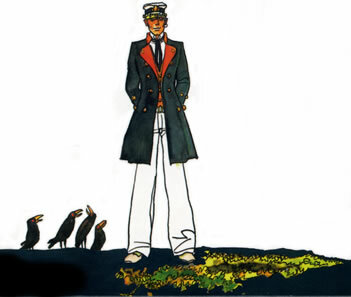 The Ballad Of The Salt Sea, serialized from 1967 in Italian magazine Sgt Kirk, relates their encounters in the South Seas with pirates, natives, and opposing navies around the time of the outbreak of the First World War. 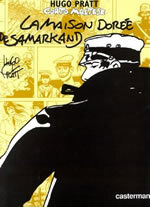 From then on, wherever, whenever, the globetrotting free spirit washes up, Corto Maltese is bound to become a part of history in the making. 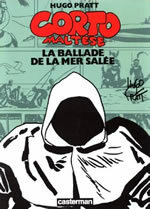 It seems Corto was born in 1887 in La Valletta in Malta, which gave him his name (Frank Miller named a country after him in Dark Knight Returns as a tribute). The illegitimate son of a gypsy woman from Seville and a British sailor from Tintagel, his choice of a seafaring life was inevitable. 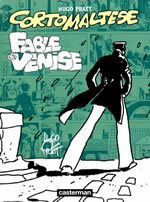 The life of his Italian creator Hugo Pratt was almost as adventurous. Living in a variety of countries, multi-lingual and widely read, he was fascinated by the cultures of the world. Hugo Pratt was also a relative William Pratt, better known as Boris Karloff. Pratt himself has seen his share of scrapes, at one point in 1964 becoming lost, presumed dead, in the Amazon rainforest until he was rescued by Indian tribesmen. 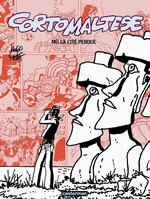 His crisscrossing of the globe was a constant source of ideas for his comics. 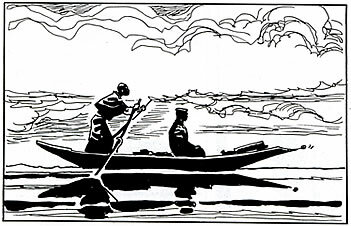 Other huge influences were Milton Caniff’s chiaroscuro or light-and-dark graphic approach on the newspaper adventure strip Terry & The Pirates and Caniff’s enthusiasm for research and authenticity. Out of these ingredients Pratt imagined the rugged, enigmatic adventurer Corto, in his cap, earring and bellbottoms, whom he could involve with the real events, places and people of early 20th century history. For example in The Celts, Corto plays a part in the Irish Rising by helping the nationalists take revenge on British officer for murdering a Sinn Fein informant. In Ethiopia in 1940, Pratt aged 13 was enrolled by his father in Italy’s fascist army: "I was Mussolini’s youngest soldier." By the end of the war, Pratt was on the Allies’ side and steeped in the country’s culture. 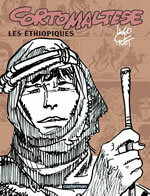 In Corto In Africa, Pratt takes Corto to Ethiopia, where, he joins the Beni-Amer freedom fighter Cush. 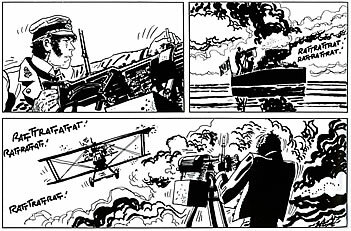 In 1919 Corto winds up in another hot spot, the Trans-Siberian railway, where he is mistakenly shot down by an armoured train and presented to the Russian Duchess in control of its cargo of gold. 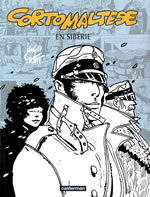 The graphic novel Corto In Siberia was made into a moody colour animated feature film in 2002, while over the years Antonio Banderas, Christopher Lambert and Viggo Mortensen have all been in the running to play Corto in a live-action movie or TV series. Pratt himself was born and raised in Venice and sent Corto there in Fable Of Venice to trace a legendary emerald, ending up entangled in the secret world of Freemasons. Pratt was also a passionate bibliophile. In latter life he designed his mansion outside Lausanne, Switzerland as a library to house his collection of 30,000 books, each room devoted to a different country, period, or subject. Often it was a mystery from the past in one of his books that would trigger his desire to set out for another destination and look for clues there himself. He told his biographer Dominique Petitfaux, "For me, my travels have been the chance to go to a place that already exists in my imagination." 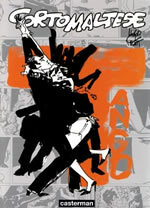 First hand experiences from travel or knowledge gleaned from books, Pratt embraced them both and made no distinction between them, in his life and his captivating Corto Maltese graphic novels. The line between creator and creation was also blurred. Writing a tribute to his friend Pratt after his death, Umberto Eco recalled introducing him to his daughter in Milan. 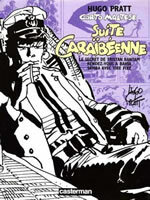 "At one stage, she took me aside to whisper to me, "But Corto Maltese, it’s him!" Only children can see that the emperor has no clothes. 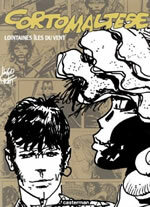 Corto Maltese is long-limbed, thin, athletic, with an art nouveau grace, virile yet effeminate. Pratt was rather short, stocky, almost portly with a heavy face. 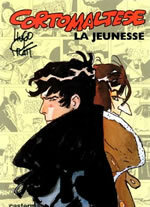 But that day, I took a good look at him, lit from behind: yes, it really was Corto Maltese." As for the sailor’s eventual fate, Pratt never confirmed it and rumours abounded. 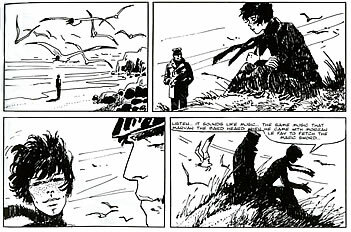 One clue, however, was given by Pratt from the very start in the first issue of Sgt Kirk, in his 1967 introduction to The Ballad Of The Salt Sea. This consisted of a letter dated 1965, which quoted from another undated letter by Pandora Groovesnore reporting the death of Corto’s friend, the Maori warrior Tarao. "[Tarao’s] death leaves a great emptiness among us, but especially for Uncle Corto, whom I am worried about at the moment. Those two understood each other perfectly, they were inseparable. Now, when I see Uncle Corto sitting there alone, his eyes dimmed, facing the great sea which used to be his, my heart breaks." 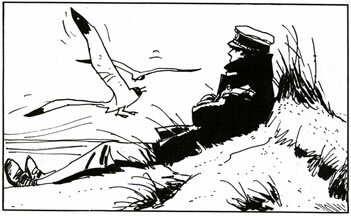 It seems that to the end, Pratt, like Corto, would hear the call of the high seas, of one last great adventure. Three years before his death, Pratt and his close collaborator Patrizia Zanotti realized a dream of a long journey around the South Pacific. 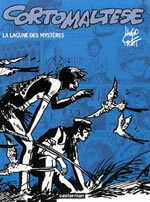 They visited Samoa and Robert Louis Stevenson’s tomb, and the islands where Corto’s voyages had begun. 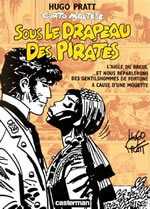 Of the 12 original Corto Maltese books, eight have so far been translated into English, first by NBM Publishing and then by the UK’s Harvill Press. 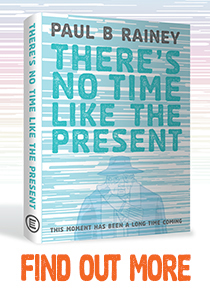 Scandalously, they are now out of print, but you should be able to track them down second hand. 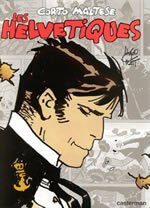 The original version of this article appeared in 2005 in the pages of Comics International, the UK’s leading magazine about comics.